Comps guidance for 1QFY19 was surprisingly weak. However, we see a higher probability of future good news versus bad news (either from comps stabilization or details of the cost-saving initiative to be discussed next quarter). Even if comps remain poor for the rest of the year, the forward P/E is still attractive, cashflow from operations is still healthy, and the dividend is covered. 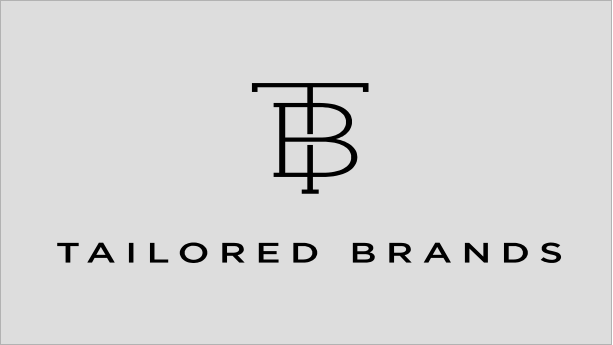 On March 13, Tailored Brands (NYSE:TLRD) released 4QFY18 results. The quarter itself was not such a surprise since they had provided an updated outlook on January 14. What really sent investors running was the comps guidance for 1QFY19. The weakness they started to see in late 2018 at Men’s Wearhouse and Jos. A. Bank has now extended into 2019, causing comps guidance to come in at -4% at both brands. Because of this, the stock was punished with a whopping 25% decline. Due to the just-announced multi-year cost-saving initiative, they did not provide full-year guidance (more details regarding the impact of this initiative on full-year EPS will be provided on the next earnings call). The comps guidance is disappointing, but it’s important to put things in perspective. For the first three quarters of FY18, the comps were positive at both of the major brands. It’s only at the end of FY18 that things turned south. While the comps guidance for 1QFY19 is certainly a negative development, we do not think it forces a change in the thesis since our last article was published in January. We are still bullish, still think the successive drops are an overreaction, and want to provide a framework for thinking about the 1QFY19 comps guidance. As you can see below, should the -4% comps continue, we still see a respectable full-year EPS of $0.97/share, which gives us a forward P/E of 8.1x. Should comps stabilize after the first quarter and remain flat for the remainder of the year, we see EPS of $1.43/share, which equates to a forward P/E of 5.5x. We also think it’s worth mentioning that this “ideal” scenario (of comps stabilization) gives us an EPS below the consensus estimate of $1.67/share. At this point, we think the comparisons to other “dying retailers” are overblown. The retail landscape is clearly changing, but one or two quarters of negative comps is not enough to justify relegating a company to the “dying business” category. Management is obviously aware of how custom suit companies are disrupting this space and are reacting accordingly. On the 4QFY18 earnings call, they discussed tweaking the custom suit buying experience, experimenting with different store layouts, adjusting advertising spend, etc. There is also a multi-year cost-cutting plan in place (details of which we don’t know yet, but will hear more of on the next earnings call). But it doesn’t mean that the entire business needs to be scrapped. Since closing at $35.16/share on May 21, 2018, TLRD has lost almost 80% of its market cap. Yes, some reduction in the stock price was warranted given the decrease in expected future earnings. But cash flow from operations is still very healthy (and will continue to be in either of our bad case scenarios), and the annual dividend of $0.72/share is now yielding almost 9%. No business can be a growth business forever. Unfortunately, stock market investors decidedly reward high-growth businesses with unjustified valuations, while cash-generating mature businesses are too often overly punished for slightly declining growth rates. We think TLRD fits into this latter category, are still bullish, and still think it’s a good time to buy and be patient. Disclosure: I am/we are long TLRD. I wrote this article myself, and it expresses my own opinions. I am not receiving compensation for it (other than from Seeking Alpha). I have no business relationship with any company whose stock is mentioned in this article. Additional disclosure: Disclaimer: The Elle Investments portfolio is managed utilizing a variety of strategies (quantitative, contrarian, event-driven, etc.). The commentary presented here is for research purposes and is not to be taken as investment advice. Readers are expected to perform their own due diligence and/or hire an investment professional prior to entering/exiting positions. Published research ideas are related to the specific market price and publicly available information at the time of article submission. In order to maximize returns for clients, Elle Investments will enter/exit positions without further notice.